REALTOR SERVICES – Why choose a Realtor? Is 'your' Realtor working for you? As a buyer, your interests are not represented unless you have told the Realtor who is showing you property that you want them to represent you as your "Buyer's Agent." If you haven't, "your Agent" could be representing the seller. A buyer's agent protects your best interests. Buying property is often one of the largest financial decisions you will make in your lifetime. It does not cost you anything to be represented by a professional buyer's agent like us and it could save you thousands. Sellers have agents working for them and home buyers should too! Why choose us as your buyer's agent? As a dedicated buyer's agent, we perform services for you that a seller's agent can't - such as showing you reasons not to buy a certain property; negotiating the best price and terms for you; including contingencies in the contract that protect you, rather than the seller; and keeping confidential any information that could hurt your bargaining position. If there are better-priced homes in the area, we will also give you an unbiased opinion and show you those homes. From property hunting to closing, We are here for you every step of the way - don’t leave home without us! 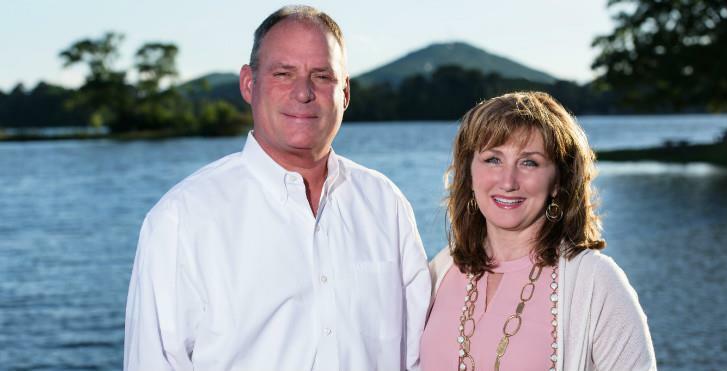 For independent representation, contact your Hot Springs Realtors, Jeff & Paulia Kennedy. This is the single most important step. By asking you a series of questions, we will establish what you are looking for. Our goal is not to waste your time by looking at properties that are not in your price range or homes that don't meet your needs. Throughout the buying process, we will maintain your confidentiality and represent your best interests. This step will show you how much you can afford. This is accomplished by speaking with your Financial Institution and establishing what monthly payments you are comfortable with. We will use every available method to locate a property that matches your search criteria. This will include properties listed with our office, offered through other real estate companies, as well as unlisted properties which are for sale by owner. You will be informed of all known facts about the property that are likely to affect your decision. When we find the property that meets your criteria, we will assist you in writing an offer and will act as your Realtor link between you and the Seller and the Seller's Agent. It's our Job to find you the property....but it is our Privilege to help you achieve your home-ownership goals. Sell your home by working with a Realtor. Over 94% of home buyers now use the internet as a tool to locate their dream home. Are you in the market for a Realtor who is sold on service, has marketing expertise, is net-savvy, and who can get your home in front of buyers who use the internet? Selling your home is an involved process that affects your family and your future. Before you begin, you will want to ensure that you have the most up-to-date information. When should you sell? How do you get the best price? What kinds of renovations, if any, should be made prior to the sale? Sellers who need to accelerate the sale of their home, should consider home staging - the art of getting more with less. REALTORS work within a legal relationship called AGENCY. The Agency relationship exists between you, the CLIENT and the Brokerage, your AGENT. You can expect competent service from your Agent, knowing that the Brokerage is bound by Ethics and the Law to be honest and thorough in every Real Estate transaction. This approach is reflected in the standard Real Estate contracts produced by the Arkansas Real Estate Association. Please feel free to ask your REALTOR to show you the contracts appropriate to your Real Estate transaction. 1. Loyalty: The Client has an obligation to be loyal to his/her Agent when dealing with the transactions. The Client is also obligated to ensure that they only employ the SERVICES of one Agent, and not to involve any other Agent in any transaction. 3. The Client has the duty to pay the agreed-upon compensation as outlined in the signed contract. 4. In addition, the Client has the duty to disclose material facts to the Third Party in the Real Estate transaction. Single Agency: Single Agency occurs when both Buyer and Seller are represented by their own Agent in a Real Estate transaction. Each Agent owes full Fiduciary Duties to its own Client. (Assuming both Agents work for different Brokerages). Dual Agency: Dual Agency occurs when one Brokerage, trading in Real Estate from one or more locations, represents two parties with respect to the potential purchase of a property. Since the Brokerage is working for both parties, it is necessary to limit (as described below) the Fiduciary Duties owed to both Clients. These limitations on the Fiduciary Duties will also apply for Buyers when one Brokerage represents two or more Buyers. c. the reason the Seller is selling and the Buyer is buying, and the terms and conditions of competing offers. Will disclose to both parties all facts known or become known to the Dual Agent that materially affect or may not materially affect the marketability or value of the property, and as well, will also disclose any facts known or facts that become evident after the transaction has proceeded that would influence the conditions of the transaction or the closing of the transaction. Choose a Realtor wisely - be Choosy! Buying or selling your home is one of the most important financial decisions you will make in your life. Choose your Realtor wisely and be choosy because real estate is what you come home to. A Realtor should not only be a good communicator and a skilled negotiator, but someone who is innovative and net-savvy! A Realtor's web site will speak volumes to you about the type of Agent he or she is. Is the site professional in nature, organized, creative, or is it a cookie-cutter cloned site? A cloned web site is pre-scripted with the same messages on thousands of sites. What type of innovative pro-active marketing techniques will they use in order to market your home and put it in front of buyers who use the internet? Do they have a measurable internet presence, or is their web site parked on the Net? Make sure your Realtor has a handle on the new technology and the internet marketplace. There is much more to selling a home today than just listing it on the mls or putting it on a parked, pre-scripted, cookie-cutter web site. You have the right to expect respect, not pre-scripted sales pitches, and you have the right to expect the best because that's what you pay us to be. Realtors may sell real estate, but real estate is what you come home to, so choose your Realtor wisely.